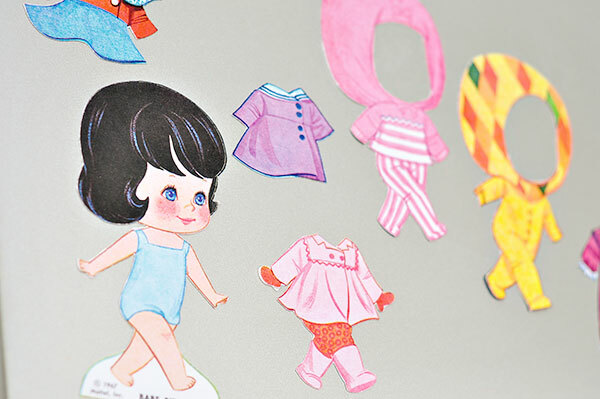 I found this free paper doll printable online and thought it was adorable. 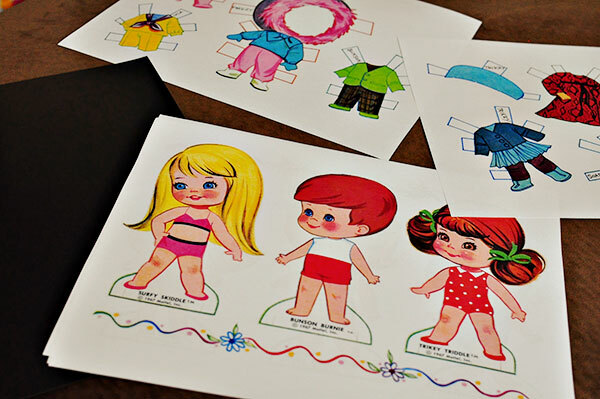 I loved playing with paper dolls as a child and decided to print some out for my daughter Avery is getting to the age where she is starting to enjoy toys like this. 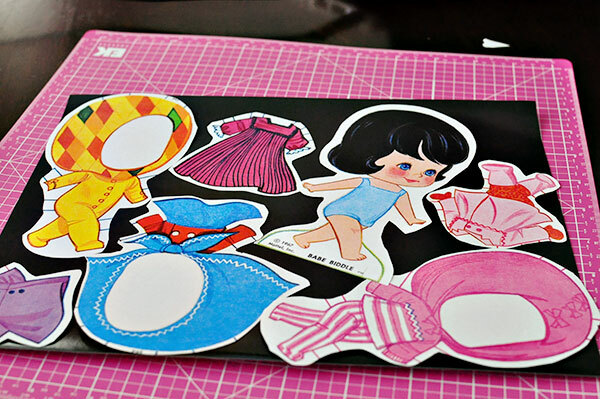 To make the paper dolls sturdier and easier to play with I decided to back them with magnetic paper. This magnetic paper has adhesive so no gluing is needed. 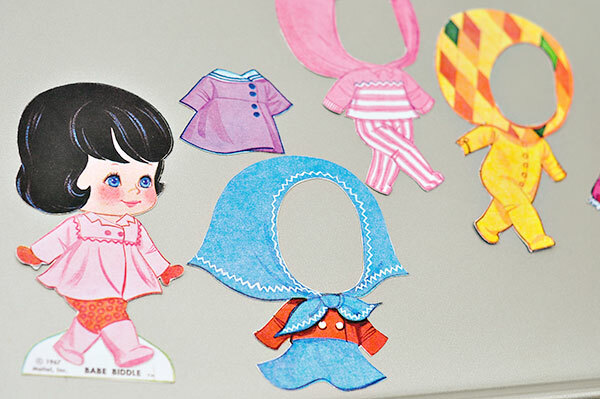 You could also get printable magnetic paper and print the dolls right on. 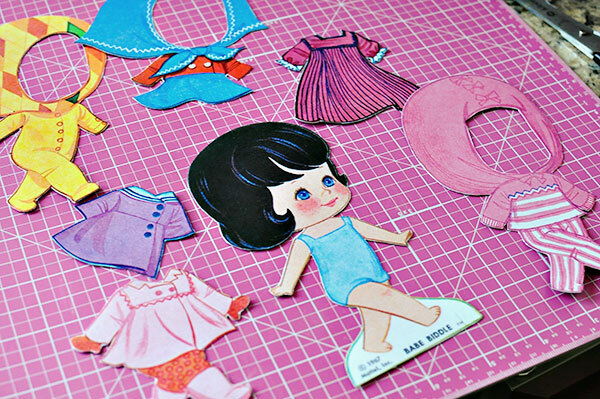 The printable had a lot of white space so I decided to cut out the dolls and position them to utilize the paper better. Cut out paper leaving a little white space around (this will help for a cleaner cut when you stick it on the magnetic paper. Cut out the dolls and clothes. You can off the tabs on the clothes because they aren't needed. Stick on fridge or baking sheet and let your little one enjoy. 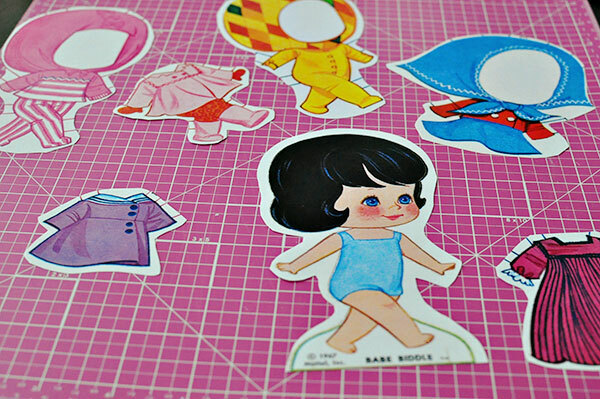 i had these exact paper dolls when i was young! thanks for bringing back a happy memory in my life. I JUST did this for my kids, and I was looking online to see if they had any other outfits! I had no idea that someone else had the same idea! So cool. I am putting mine on a dollar tree cookie tray and taking them in the car so the kids can play with them! إن العفن والفطريات هما أخطرمشكلتين وآفتين وقد يتواجدون في أي منزل، ولكن لحسن الحظ فيمكنك إستخدام العديد من منتجات التنظيف اليومية للقضاء على العفن أو الفطريات ومنعهما من الظهور مرة أخرى، إن وجدت الفطريات على الحوائط أو على أو علي الأسطح الأخرى مثل (الأرضيات أو السجاد) فيعد هذا خبراً سيئاً على صحة من يسكن فى المنزل وخاصةً الأطفال لذلك فإن معالجة المشكلة من جذورها يعد أمراً ضروري ومن خلال هذا المقال سنتمكن من الحصول على دليل سريع للتخلص من العفن على حوائط منزلنا. فك الأثاث اولى خطوات فترة نقل الأثاث، والتي تهتم بها المؤسسة، ورغم سهولة تلك الخطوة الا انها تفتقر الي متخصصين على دراية كاملة بكل ما يختص عملية نقل الأثاث، فشركة مسكنك تملك فريق مدرب له خبرة هائلة في أسلوب فك العفش بلا حدوث أي خدش للعفش أو تعرضه لثني أو التواء نحو الفك والتركيب مرة ثانية، وكذلك هي المسئولة عن اصلاح أي فقدان او إصابة تلحق بالعفش.